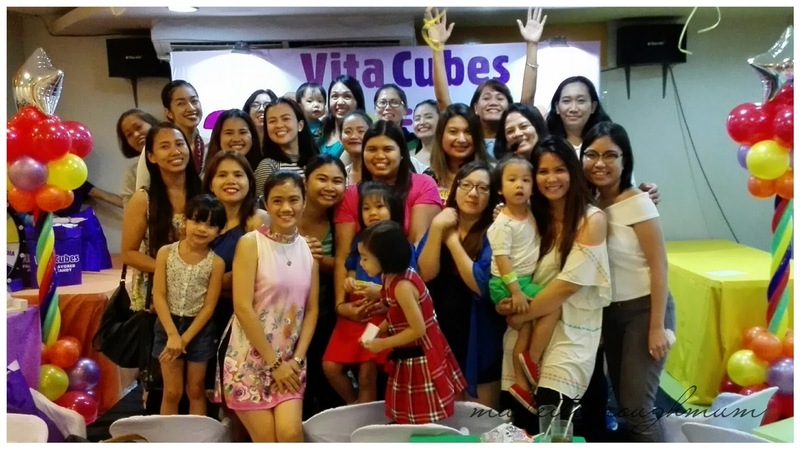 Last Saturday, October 23, Vita Cubes held #VitaCubes2Good Fun Day at Active Fun in BGC. 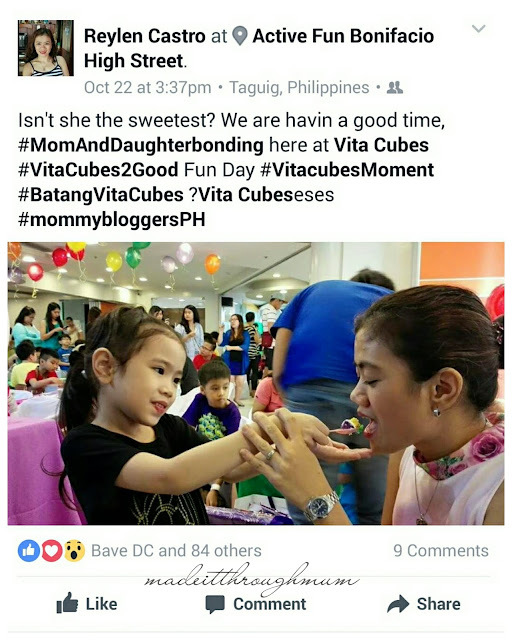 Members of Mommy Bloggers Philippines and family were present. It was a half-day filled with laughters and giggles as kids and mommies participated in the activities/games prepared by Vita Cubes. Guests were served with good food and entertained by a magician. Kids enjoyed an hour access at the play area and unlimited vita cubes. 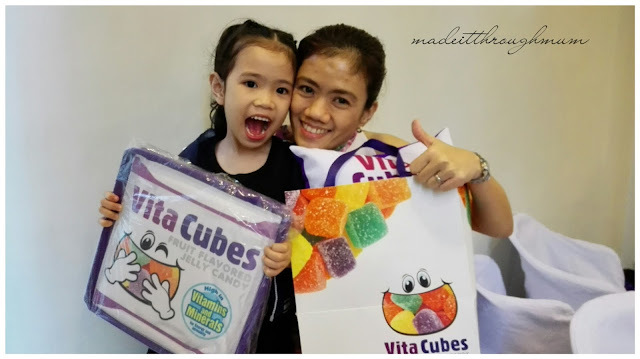 Vita Cubes are cube-shaped jelly candies that come in five different fruit flavors -- strawberry, apple, grape, orange, and mango. I love the mango flavor the most. Yes! Im also a "consumer". The kids love all of its flavors. ZINC- contains 70% of the child's recommended energy and nutritional intake(RENI).Zinc is known to help in proper functioning of the immune and digestive systems,energy metabolism,and in increasing the rate of healing of wounds. Vit.B- Supplies 30%-70% of the child's RENI. Promotes growth and strength.Stimulates child's memory in their formative years.Helps boost the oxygen circulation in the body,especially the brain,which in turn will improve concentration.Helps convert carbohydrates and fats into energy. Vit.C- Supplies 30% of the child's RENI. Helps form and repair red bloods cells,bones,and tissues.Helps your child's gums stay healthy.Strengthens your child's blood vessel,minimizing bruising from falls and scrapes.Helps cuts and wounds heal,boost the immune system,and keeps infections at bay.Helps the body absorb iron from food sources. Vit.E- supplies 45% of the child's RENI.Boost the immune system and helps the body fight germs.Keeps blood vessel open wide enough for blood to flow freely.Helps the cells of the body work together to perform many important functions. 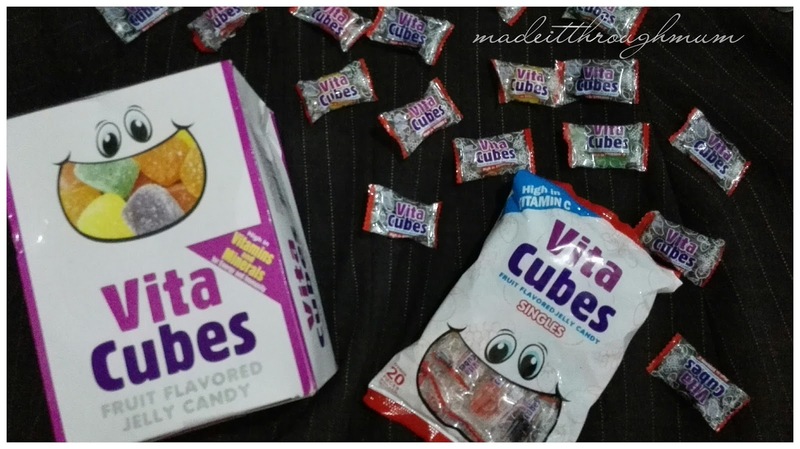 If you are having a hard time giving your kids vitamins, I would suggest that you try giving them Vita Cubes. Ozamis is Ready for you...Discover Ozamiz! When it comes to your heart... choose the best!